Top businesses learn lessons of emotional resilience. T@ Talks speakers: Steve Judge, Leanne Spencer, Jason Fox and Martin Johnson. Also individual pix of Steve Judge, Martin Johnson and Jason Fox. A death-defying former Special Forces Sergeant and a double World Paratriathlon Champion shared the stage with inspirational speakers from business to challenge an influential audience to think their way to improved performance. 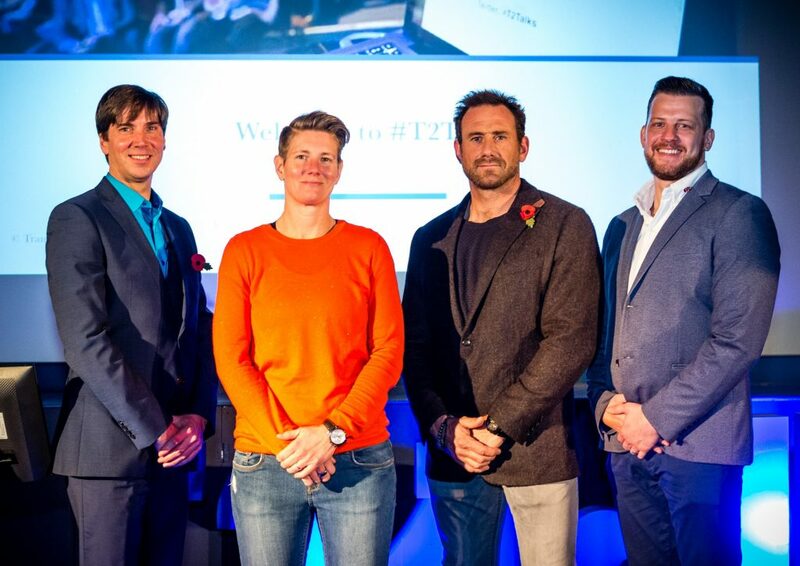 Jason Fox, who has starred the Channel 4 shows SAS: Who Dares Wins and Inside the Real Narcos since ending an action-packed military career, told business leaders from some of the top companies in the region how he defied the odds and intense emotional turmoil to succeed when lives were on the line. Key figures from businesses including KCOM, Siemens Gamesa, Smith and Nephew, MKM and Willerby attended the event billed as An Evening of Inspiration and Motivation and presented by Trans2 at The Deep. Martin, who launched T2 Talks in 2015 as part of his human performance business, urged the audience to encourage their staff to operate in a challenge state rather than a threat state and to focus on what they want to achieve. Be the first to comment on "Top businesses learn lessons of emotional resilience."